During the past couple of months I have been taking my sketch bag whenever I leave the house, so I have materials at hand when I stop to sketch something on the way back home, however as of late… with the time change by the time I get a chance to sketch something (typically after work on weekdays) It is already too dark. 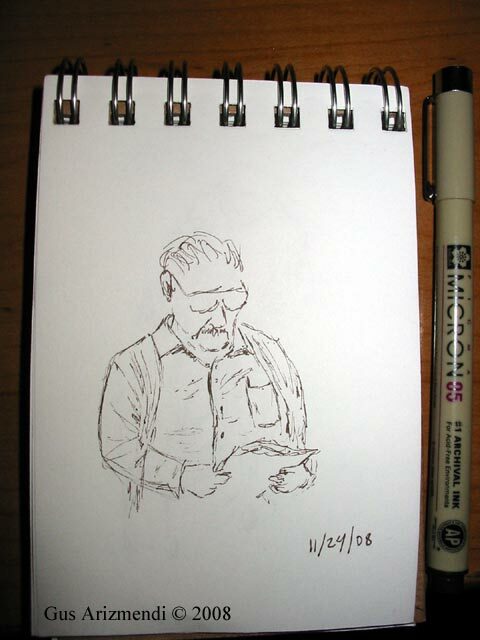 Stratmore small sketch notebook 3.5″ x 5″ and a Pigma Micron Pen (Sepia), small set to carry around and also keep in the car, for any opportunity. The sketch below was done while sitting in a waiting room. 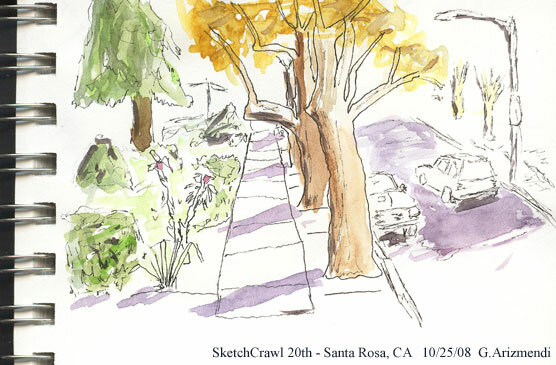 Saturday October 25th was SketchCrawl #20, I decided to stay local a few days prior to the big event. 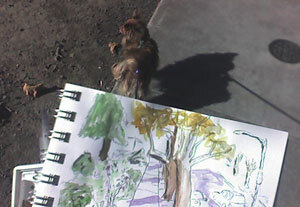 Since I was staying local I figured it would be a great time for my little dog to spend extra time outside, and perhaps sketch a few things that have caught my attention when I take him for a walk. I used a micron pen for the first sketch, it is always a little ‘scary’ using a pen because you cannot erase if you make a mistake. I figure by using a pen I would force myself to just sketch and not pay attention to perfection. After the sketch was completed, i figured I should also add color, I was also curious to see how this sketchbook would handle water. Below is the result. 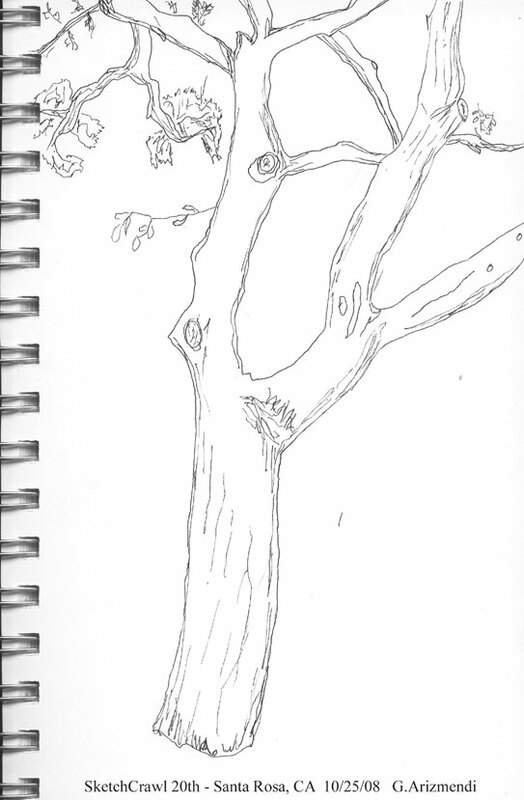 The second sketch I did was that of an oak tree, but I didnt finish because my little dog was just too impatient, hehe his idea of going out was not one of staying in only one place. 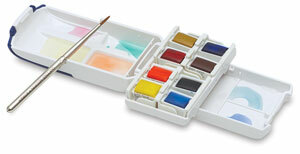 Below are links of some of the materials i used, my portable watercolor (student grade) is a different model. 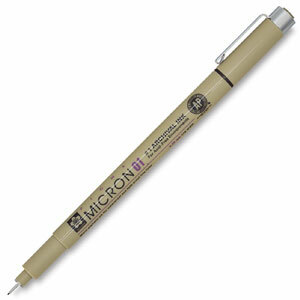 I buy most of my materials at Blick.